It seems like only yesterday we saw Eugent Bushpepa win FiK with the soaring track “Mall”. It was a simpler time when our timelines were filled with “My Top 1” jokes. Two and a half months have now sped by and we have all 43 songs competing at Eurovision 2018. The Big Five are, of course, the five biggest financial contributors to the contest. As such they automatically qualify for the Grand Final on May 12th along with host country Portugal. For the first time in years France, Germany, Italy, Spain and the United Kingdom all chose their entries through national finals, as did our first-time hosts in Lisbon. And now we have one question on our mind: Which automatic qualifier is your favourite? At the time of writing this poll — on 8 March — Spain are faring the best with the bookies, with their romantic ballad “Tu Cancion” sitting pretty as tenth favourite. France, Italy and Germany all remain inside the Top 20. The UK is further back in 27th with Portugal in between. But odds are odds — and your opinions are your opinions. 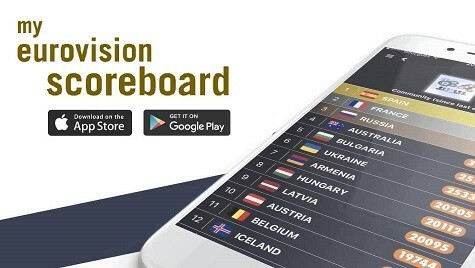 Which country do you think most deserves its free pass to the final? You can review all of the entries below. Then vote in our poll. You can vote for as many songs as you like, but you can only vote ONE time, so make it count. Be sure to tick the box next to each country you’re supporting before pressing submit. Espana comes with the real-life couple Amaia and Alfred, selected through the wildly popular TV show Operacion Triunfo. There was little doubt before the Eurovision gala that this duo would win with their simple yet beautiful ballad “Tu Canción” (Your Song). It’s already emerged as a hot-favourite for the title — could we be headed to our host nation’s neighbours in May 2019? Notable lyric – “Siento que bailo por primera vez” (I feel like I’m dancing for the first time). We were all hyped when we heard France would stage Destination Eurovision — a three-part national final involving respected songwriters and emerging artists. And the hype went to another level when we heard the snippets. Madame Monsieur took the crown with their moving song, a tribute to a child named Mercy born in the midst of the European immigration crisis who survived in extraordinary circumstances. With its emotional electro flair, the song stands out from what we’re familiar with at ESC. But will it stand out in the Grand Final? Notable lyric: “Je suis tous ces enfants, que la mer a pris” (I am all those children who were taken by the sea). SuRie (Susanna Marie Cork) is the Hertfordshire beauty with a vocal style comparable with British music legend Annie Lennox. She’s also one of the best social media characters of the year. Her wit and charm have earned her a dedicated group of fans excited to see the next tweet. Selected through the third edition of Eurovision: You Decide held at the historic Brighton Dome, SuRie delivered a real and rousing rendition of her anthemic track “Storm”, and got by far the biggest cheers in the crowd both in the venue, and evidently with viewers back home. Last year Lucie Jones restored British pride at ESC. Can SuRie take it higher? Michael Schulte smashed the competition in Unser Lied fur Lissabon, beating his closest competitor Xavier Darcy by 11 points to be crowned the winner and representative of Germany in Lisbon. His moving tribute to his father who passed away when he was a teenager moved the German audience and they rewarded him with their highest marks. The Voice of Germany alumni is hoping to bring the competition back to Deutschland. They are still the only Big 5 country to have won since the Big 5 rule existed. Both massive stars in Italy, Albanian-born Ermal Meta and rocker/tv-presenter Fabrizio Moro entered San Remo 2018 together with the extraordinarily honest and up-front anthem “Non Mi Avete Fatto Niente”. The song title, which translates as You Did Nothing To Me, refers to the terrorist attacks happening both in Europe and further afield, directly mentioning events in Nice and London among others. It takes the issue on without holding back and is one the most powerful statements ever made at Eurovision. This song could really hit hard with viewers. How do you think it will fare in the contest? Notable lyric: “Il mondo si rialza col sorriso di un bambino” (The world stand sup again with the smile of a child). Stepping into the shoes of Salvador Sobral after his empathic win in Kyiv last year was always going to be a difficult task, but Portugal stepped up to the plate with their entry “O Jardim” (The Garden). Winning the televote in Festival Da Cancao convincingly, Claudia will represent her home country with a slow, stunning and other-worldly entry. Will we be headed back to the region in 2019? being from the Uk, I absolutely despise our song, and don’t know how our chances will be, because we could of done so well this year, so we don’t embarrass ourselves with last place I hope people vote. The Big 5 have done a really good job this year! Congratulations! They are in the right way. I love France, Germany and Italy, I like Portugal and Spain has grown on me (I like it but still too cheesy for my taste). My least favourite entry is U.K. but they had a good national final with several decent entries. I agree with you Ana. But I think France is not as good as the Italian ( lyrics , music) so overrated here. But again everyone as his own taste. None of them? Can we just get rid off all of them and pick 6 better songs from semifinals? They’re all in my top 10, except for the UK. Spain must win. We worked so hard and honestly it is the best song pls. Vote please. HERE YOU CAN SEE MY PERSONAL TOP OF EUROVISION!! Hey all! As there is no reference to the notable lyric from the portuguese song “O Jardim”/”The Garden”, I would like to add that information. As a portuguese speaker I must say that the song lyrics are very moving, but not in a sad way, in a comforting way. Why Germany send English song not Deutsch? Spain,Portugal,France,Italy,& UK send national language, only Germany send foreign entry (English), does Germany hate Deutsch entry? oggy, you could say that about virtually every other country. It’s really strange to hear all those national finals conducted entered in nactive language except for the songs. None of them will win but actually Spain could if it was at the disposal of a country that’s good at staging because that song has really been revamped to shine on any stage and also has that super stageable ending that could marvel the audience. I guess they will mess it up big time again which is a shame for Spain. They run into opportunities like this one, once every 10-15 years. Jealous for what? I’m actually backing Spain as a possible winner. Where’s your reading comprehension? These must be kids or people who cannot express themselves the right way die to a low level of English. Dont take ir to heart. I find you are right. If Spain has a great staging might have a great impact. Not jelous, but realistic. Our staging is always poor and disappointing. Let’s hope for an improvement this year. Though I am very pesimistic. Why isn’t there an option for None of those? Because Eurovision doesn’t do negative votes. It’s against the spirit of the contest. The portuguese song is beautiful. France is a good candidate too. UK higher than Italy? Lmao, what is this. Wow, just realised almost all of the Big 5 are singing in their own language.. Except for Germany, boo. But seriously, more of this please! The big 5 has some quality entries like France, but its hard to see the rest on the left side of the scoreboard , France deliver a good entry 2 years in a row now ( im sorry i didnt like 2016 one). UK with those chasing rainbows, Italy with their terrorists , Germany with the non original song again and Spain with their teenage love from school doesnt really have chance against any of the semi 1 songs. Upon first hearing UK’s song, I almost thought it was Annie Lennox. All of them earned their automatic qualification. Congrats to each country on sending such a strong slate. That said, my personal favorites among them clump into three pairs. Top: France, followed by Portugal. Exactly what I like, executed impeccably. Both feel like expressions of the spirit of the nation, in the best possible way. Middle: Spain, followed by UK. The individual performers redeem songs that otherwise wouldn’t do much for me, but DANG do the individual performers redeem those songs. Low: Italy, followed by Germany. Not my taste, but both solid. Portugal, by far, has the best melody in all Eurovision. Portugal by far, has the best melody in all eurovision. France, Portugal and Spain are great. Italy has a good message but the melody itself is nothing special. Germany is good but too much Ed Sheeran vibes. Germany is by far the wurst ? Of all the 6 I really like 3 of them: Germany, Portugal and Spain. As of the others, I really don’t like the IK entry. The six of them do! They’re all on point this year. France and a bit of Portugal.